I recently was channel surfing on my satellite radio while driving around the Dallas/Ft. Worth Metroplex when the song, Hanky Panky, came on. As I often do when I hear a song, my brain kicks in (if it never does any other time) and began searching its cobweb laden memory banks for a benchmark of when I first heard that song. As I started drilling in and through my gray matter, I quickly remembered that it was somewhere around the summer of ’69 or ’70 in Phoenix, Arizona. A little girl was spending the summer with a a friend of my mom’s. This little girl would come over and play with my little sister. Very early on, this girl started bringing her one 45 record. It was Tommy James and the Shondell’s ’66 recording of Hanky Panky. That girl played that song over and over and over again. Surprisingly, none of us really got sick of it, as I recall. However, the tune was forever burned into my memory. Fast forward about 15 years. My wife and I have a beautiful daughter that isn’t quite one year old. Our family video library shows me standing her on my lap, twisting her back and forth like we’re doing the twist, and I’m singing Hanky Panky to her as she’s smiling. That’s the funny – strike that – great thing about well written songs. They become part of the soundtrack of our minds and they come out in the most unique ways. Fast forward to today and back to my cruisin’ to the tunes. Hearing the song inspired me to research what the latest happenings were with Tommy James. 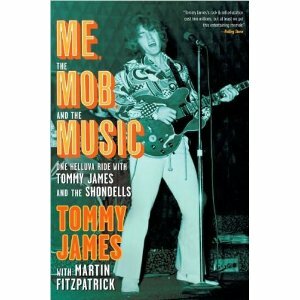 I was pleasantly surprised to learn that the man JUST published his autobiography, Me, The Mob and The Music: One Helluva Ride With Tommy James and the Shondells. Long story short, Tommy’s manager, Carol Ross-Durborow, sent me a copy of the book for me to review. I COULD NOT put the book down, it was that captivating. (You can read my review of the book here.) Before I even finished the book I knew I had to interview Tommy and Carol was very kind to set up the phone interview. From the first moment of the conversation, James is both warm and engaging in his conversation. Right out of the chute, we start talking about the book with my confession that, when I received the book, that I really didn’t expect it to be a good read but, boy, was I wrong! I mentioned that I had read that Martin Scorsese was mentioned as a possible director of the movie. “Well, his office contacted us first. We’re talking to a couple of other people. So, that decision is going to be made in the next two or three weeks. We’re going to have a major announcement to make within a month. And, it’s going to be produced by Barry Rosen and Mary Gleason for Triangle Pictures. It’s going to be an A-1 cast. There are going to be a lot of big names involved in this and I’m as thrilled as I can be. I shared with Tommy how stunned I was with his revelations of the seamier side of the music business. I felt that my Pollyannaish, rose-colored view of the business and it’s history were stomped on with a slime covered boot. “Well, you know something, Roulette Records was not only a functioning record company but also a front for the Genovese crime family in New York. We learned this incrementally. Our first hit record, Hanky Panky, exploded out of Pittsburgh in the spring of ’66, unexpectedly, I might add. I couldn’t put the original band back together so I grabbed the first bar band I could find in Pittsburgh and brought them to New York. We went to sell the master and we got a yes from every major company: Columbia, RCA, Epic, Atlantic, Kama Sutra. We were so flipped out. The last place they took the record to was Roulette. When I mentioned how one or two of the people I knew in the business felt about Morris Levy, Tommy didn’t exactly come to his defense or try to sugarcoat Levy’s reputation. “Well, you know, Morris was, quite literally, financed by these people and was a gangster himself. When we went to Roulette, we found out about what was going on there incrementally. It didn’t all come at once. We had heard about their reputation and stuff. “The day we were signing with Roulette, Morris was right out of the movies – right out of Central Casting. He could have been in the Godfather. He was about 6’-4”, weighed about 250, and he talked like this (breaks into a very tough sounding gangster voice). He played the role really well. “The day I first laid eyes on him, we’re sitting at his desk, talking about the record. Two goons walk in, right in the middle of a sentence and he said (going into a tough gangster voice), ‘Scuse me’. He gets up, goes over and talks to him. They’re talking about beating some guy with baseball bats and breaking his legs out in Jersey for bootlegging records. “Well, yeah, it did! The book itself is an autobiography with about two thirds of it devoted to this crazy situation up at Roulette. And the fact that we were having this music career with this dark and dangerous story going on behind us. Of course, we couldn’t talk about it. “My co-author, Martin Fitzpatrick, and I – actually, I was very nervous talking about it as recently as five or six years ago because these guys were still walking around. So, when we started writing the book, we were going to write a music book about the hits, the studios and stuff. “We were going to call it, Crimson and Clover. We got about a third of the way into the book and realized that we’re only telling half of the story here. If we don’t tell the Roulette Record story, this isn’t going to be nearly as interesting and it’s not going to make nearly the sense – a lot of it. “We put it on the shelf for a couple of years and then when the last of the Roulette boys passed on in ’05, we felt like we could finish the book and we did. I gotta tell ya, we were lucky to make out of there in one piece. “So many of these guys who started independent labels back then – of course RCA and Columbia were corporations – so many of these independent labels were street guys. They weren’t all necessarily in the mob but were all right off of the streets. “There was a guttural kind of logic to the record business that permeates it today in a lot of ways. The thing about the record business was that it was a uniquely American industry. I mean, it did spread to other countries eventually. But the record business, the rock and roll business, the delivery of rock and roll to teenagers was a very uniquely American experience. “The social element was real important. There was this network of radio stations across the country – these monolithic – the HUGE 50,000 watt AM stations that would service 5 to 10 million people at a time. I wasn’t sure if Tommy would feel comfortable in answering my question of whether or not organized crime still controlled any segment of the music business but I asked him anyway. “Most of any criminal activity is going on with repackaging oldies and stuff like that. There’s very little of it in the front line music business because there’s very little front line business at all. “It’s kind of like Vegas. It was originally run by mob guys but then eventually it was all taken over by corporations. That’s pretty much what has happened in the record business – except that there are no more records. And when I say ‘the record business’, I really mean ‘the music business’. “This business, unfortunately, is really dead. It came crashing down like the twin towers. The amazing thing, and one of the amazing things about this project, is that we’re all sort of all dressed up and nowhere to go. I shared with James my observation that the state of the music business has turned to where the old Southern Gospel business used to be until the ‘70’s by way of being a predominantly “indie” delivery model as well as handle their own marketing and publicity. “You’re right and that’s very observant. There are a couple of things that are going to happen. Number one, I really do believe that once High Def TV is a major part of our life – High Def TV being a combination of television technology and computer technology – once that goes together in High Def TV for real, I think the whole industry will move to television because that’s where the people are. “I think we’re going to see things like the Sony Channel, if Sony still exists. We’re going to see the Warner Channel. The big corporate entities – EMI Music will probably have a channel – are probably going to have delivery systems on television where you can download stuff to your TV. TV is probably going to become your iPod. “Secondly, I believe we’re going to have things like video radio stations like what Imus did 12 years ago where he put digital cameras in his radio booth and basically had the number one television show in the morning. There’s no reason why you can’t do that with music radio. “And I think we’re probably going to have networks of radio stations – probably with a moderator in New York saying, ‘Let’s throw it out to Seattle. What are you guys doing?’ They’ll have some face time in their broadcast booth and they’ll play a couple of records and then they’ll swing it out to Miami and then let’s see what’s going on in DALLAS! “My guess is that you’ll have databases attached to all of these shows. It wouldn’t surprise me if you have a trade paper. You know, Cash Box is back, did you know that? Cash Box, which gave Billboard competition, is back. And it’s possible that Cash Box will be on television with all of its features and charts based on downloading from these radio stations. “I think that the ‘radio’ stations that are on the upper end of your cable TV menus will become interactive. The thing that is missing is putting new music in front of the fans. You don’t type into your computer what you don’t know about. But this is where the relational databases will come in. “There are a lot of great acts out there. Listen, I go down to the Bitter End in New York a lot. They’re down there by NYU. Greenwich Village is ALIVE on any given night. You’ll have four or five incredible new bands that are writing their own material. They’re all dressed up and nowhere to go. They write their own stuff. They’re terrific musicians and they’re very hip kids and they sing great and the record companies don’t exist anymore. There’s nobody to cow tow to. “You know what it is? There’s no infrastructure anymore! It’s a wild-west, every man for himself music business. So, my guess is that we’re going to see bits and pieces of everything. We started talking about different artists from different genres who are enjoying more success as indie artists than they did hooked up with a major label. The subject of sales and breakeven points came up and how much lower those benchmarks are to determine a successful record. James is very animated with his comments. “A hit album today is ten thousand pieces, did you know that? When you look at Rhino, for example, for re-packaging, their idea of a success is ten thousand pieces. That’s where it’s gone to today. I suggested to Tommy that what we are already seeing today and is making a comeback are the “EP’s”. With that, James stated, “I would like to think so. I tell you one thing: I look, for example, at this project and we’re talking about multimedia. The original Shondells are back in the studio making music for this movie. Bringing the conversation back around to the book (since that’s what we were supposed to be discussing but we loved the direction the chat went towards instead), I commented to Tommy that I really hated to give the devil his due but Morris Levy was a genius when it came to the business of marketing and selling music. James’ response was immediate and enthusiastic. Tommy continues on about Levy. “You know what he did? He bought and sold music by the pound. He thought of music in the same way as you would sell merchandise. He thought of it as a t-shirt. He didn’t care if he was selling shoes, light bulbs or records. They were all sort of the same thing to him. You know? He was right! “From a marketing standpoint, this is a business. The record business was always this diabolical relationship between business people and artists. It was never a happy relationship, philosophically. It was a terrible relationship. But, with Morris and I, it worked! We sold 110 million records with Morris! “We made money on our concerts, of course, and on our BMI and our air play. But, of course, after Morris sold the company, we made it all! So, even though we did get ripped off for between $30 million and $40 million, we made a good chunk of it back. And, I’m gettin’ to tell this story. That’s the most ironic thing! This story is probably going to be the biggest single project I’ve ever got involved in! Later in our conversation, Tommy reflects on his feelings back in the day when he was releasing hit records. “Let me just tell you: there was nothing more exciting in the world than an exploding hit single. I don’t care what anybody says, there was nothing like it because there was the feeling – the exhilaration – of everyone hearing and playing the same music at the same time. It was incredible. James continues on with some rhetorical questions. “What’s a number one record? I mean, what’s a record? When you look at what’s being played today, radio is such a tiny little nothing. Radio means practically nothing today. But, it in some ways, it was bound to happen because of the advancement of technology. It’s just that the industry should have provided that technology. “Instead, downloading and all this caught the industry blindsided and they shouldn’t have. They should have been the ones to came to the public with it. And, essentially, the problem was that they got more use to selling widgets than selling music. That’s because, basically, they were enamored with selling discs and the music was secondary. “It’s almost like the oil industry protecting itself. They did everything wrong and did everything they could to shoot themselves in the foot. I’m not going to bore you with all of the details but, basically – well, Crimson and Clover, for example. We were so blessed to have Crimson and Clover when we did because it allowed us to go from singles and 45’s to albums. No other album that we ever worked on would have allowed us to make that jump AM Top 40 singles to FM Progressive Rock. “Well, that was a huge jump for the record business and that was the last time they ever made a good decision. Truthfully! From that point on, they came up with this diabolical system of air play called ‘Parallel Stations’ where P1, P2, P3 stations meant that you couldn’t break out of one market any more like we did with Pittsburgh. You had to market all of the little stations nationally; then all the medium stations nationally; and then all the big stations nationally. There was no way to make it out of a single market any more. You had to spend that kind of money to break out. Well, who has that kind of money? Only the big labels. “So, there was this investment into acts that they could market internationally and very little emphasis on the ‘farm teams’. It was like every record company was the Yankees and they didn’t pay any attention to the small ‘farm teams’, which is where the talent came from. “So, they cut off their own source of renewal. They killed the goose that laid the golden egg. Plus, when CD’s came out, they jumped the price up to $17.98. You’re essentially talking about a $20 single. You weren’t going to break new acts that way. “When I first got into this business there were over 300 record companies that you could have hits on. The business model was that you put out a single, which was relatively inexpensive to do, and you saw if the single scored or not – if it had ‘legs’. “Well, if it did, you created the market for an album. What you would do is release the album and the second single simultaneously but only after you determined if you had a market – only after the first single. The first single basically came out with no album attached because you didn’t want to invest a lot of money in this one act. “The point was, if you’re going to play at the dice table, you’ve going to play on an inexpensive bet. You were going to see if you created a market for an album and the next single. If the first record ‘stiffed’, then you could throw out another single if you wanted to but you didn’t do an album until you saw that you had a market for it. You didn’t spend the money on it. We had gotten way off of the path of discussing Tommy’s book and we were quickly running out of time so we had to get back on track. So, after mentioning that, as evidenced with products like Guitar Hero and Rock Band, kids today are gravitating to classic rock music in huge droves. Tommy agreed. I asked James a question that I try to ask all of the artists I interview and that is: If he was the age today that he was when he first started pursuing the music business, what would he do differently? “Boy, that’s a great question. I get asked by a lot of 20 year olds, ‘What should I do?’ and there’s an answer to that. “First of all, I will always be a music junky. There’s no way I can’t be. I love making records. It’s my favorite thing to do. I don’t know how to do anything else. MAYBE I could be a garbage man, I don’t know. I don’t know how to do anything else. “Knowing what I know now, this moment we’re in right now is a very difficult moment. It’s maybe the hardest moment I’ve ever seen in the record business. There is, essentially, no record business. That’s going to change. I have a lot of faith in the collective greed of everyone in the music business to come up with a proper way of delivering their product. “I believe as of this moment, what I would do if I was young band – a young singer, whatever – it would pay to be a band. I think what should happen is you should write a whole bunch of songs, publish them yourself and then, instead of going to a record company, I would go to a music publisher like EMI - one of the big, and I mean BIG publishers. The publishers are the only ones making any money nowadays. They’re doing great." “This is an age group that would be buying refrigerators, stereos, cars, houses, and they’re not there. When Hanky Panky hit, there were approximately 60 million baby boom kids with money in their pockets that financed rock ‘n roll. Those numbers aren’t there anymore. It’s maybe a tenth of that. So, when you look at who your market is for selling rock ‘n roll, it’s basically still the baby boomers who are still active, by the way, who still love to hear music. Look at American Idol. Look at the hunger for new music but there’s no delivery system. “By the way, they’ve (the Baby Boomers) been pretty much left out of the equation. They’ve got Oldie stations but nobody is making new rock ‘n roll – new classic rock. Nobody’s doing it. That should be done. “The younger kids think they should have it for free and they can’t afford it, anyway. So, I don’t know if you have a market.” He later adds, “The problem is, as I see it, there’s no delivery system that anywhere compares to the delivery system that we had. There’s not these monolithic radio stations – kids aren’t listening to the radio anymore. I hated asking Tommy this next question because I know that he had to be asked at least 100,000 times but I just had to ask him if there are any regrets for not performing at Woodstock. “Sure! I’ve gotten a lot of mileage from telling the story, frankly, of missing Woodstock. The thing of it is, in hindsight, we were very fortunate to have been asked because we were one of the few pop acts that got asked to do that. Really, even the Doors didn’t do Woodstock. You know, who knew? “We were, basically, sitting in Honolulu, at the foot of Diamond Head and my secretary called and asked, ‘Would you play a pig farm?’ I’m, like, ‘Gee, I don’t think so.’ So, what I’m saying, it would have been – who knows? I think that it would have probably been really great but we could’ve ended up on the edit room floor, too. That would’ve really been deflating – humiliating, really. What would be the one thing that Tommy thinks has been the least covered and misunderstood – or least understood – about him and his work. “Well, maybe that it’s that we have a very large catalog of music that we’ve made since 1980. You know, Three Times In Love, came out in 1980 and we had three chart records in ’80. We actually had three top 5 Adult Contemporary singles in ’06 taken from the Hold The Fire album. In fact, Love Words, which went number one forty years to the week after Hanky Panky. Very little is known about this. I never had three more joyless hit records. It’s incredible. You can have a number one record and no one knows that you have a record out! What it really means – this is Adult Contemporary, of course – but what it means is that nobody is listening to radio and that’s a terrible state of affairs. “But, you know, guys like you and me, we’re very lucky to be able to do this and see this in an historical way because, I don’t know, is rock ‘n roll going to go the way of big bands and vaudeville? I don’t think so. I think there’s enough interest in modern music to keep the ball rolling. The question is going to be the delivery system. We’re going to watch this over the next couple of years. I told you that it’s television because that’s where the people are. So, it’s got to be a version of television. My final question to Tommy: What’s coming down pike, project wise? “We are going to re-release our DVD of our live show that we recorded at the Bitter End a few years. We’re re-releasing that now on our own label, Aura Records. It will be in the stores, a double package – DVD and CD in one package. That will be released in about a month, maybe two. “If you go to our website, TommyJames.com, our three most recent projects are right there: the Forty Year package, which is all of our singles from ’66 to ’06. 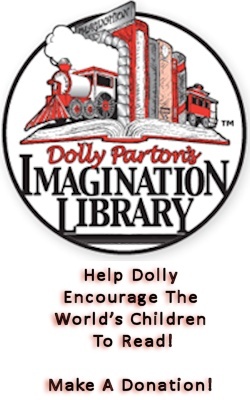 Our book you can get anywhere, Borders, Simon and Schuster’s website, Amazon, wherever. The Hold The Fire album, which these three singles came from in ’06 is there. “Also just released is Collector’s Choice 4 CD set that includes Travelin’, I Think We’re Alone Now, Gettin’ Together and My Head, My Bed and My Red Guitar and are all available at their website (www.ccmusic.com) . “The Shondells and I are actually going to do a new project together. Although we’re making songs for the soundtrack which, by the way, is going to be humongous, t won’t just be out stuff but also of the people we worked with. We intend to put out singles We have several singles we want to put out. I’m not sure what that’s going to mean. I’m not a big album fan right now because I agree with you – I think singles and EP’s are where it’s going to be. We may do an EP. A few days after my interview with Tommy James, I was on the phone with Terry Stewart, CEO of The Rock And Roll Hall of Fame and Museum. I asked him for his thoughts and memories the music icon. 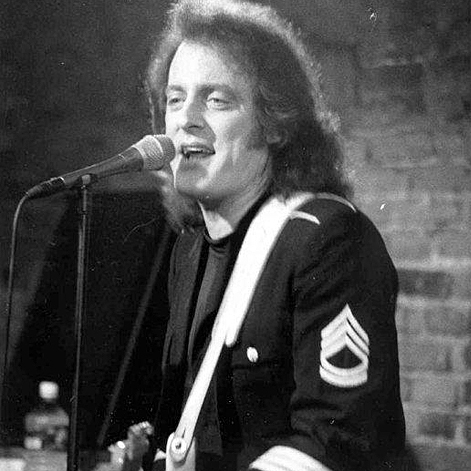 “Tommy James is an artist that I’ve always been particularly fond of, personally. One that I first saw back in the 60’s when I was in college. He’s an artist, interestingly enough, people don’t talk about as much as they should, that spans sort of a change period. 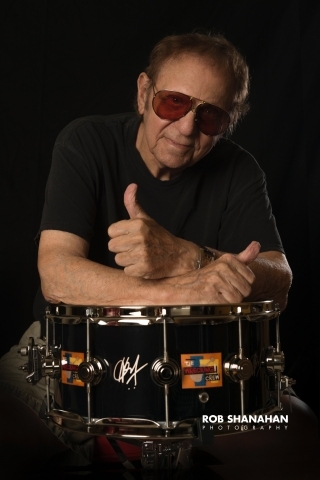 “When you think about the things that he recorded in the beginning with Tom and the Tornadoes, that’s still a holdover from the 50’s in some ways. Hanky Panky is basically a 50’s song done by the Raindrops, originally . . . a true basic, three chord rock and roll song. When it first came out, I thought it was a throw back (to the 50’s) even then. I liked it! I loved it! But I thought, ‘Wow! Here’s an OLD song,’ you know? Mr. Stewart’s response to my question as to whether or not he had read Tommy’s book. “Yeah, I enjoyed it! I was thrilled that somebody finally put down some stuff about Morris (Levy) and the boys. I knew Tommy’s (then) wife, Ronnie. She ran a record shop in Stamford, Connecticut. I used to buy all my singles there. I have a half million records in my collection so it’s a serious, serious obsession with me. In fact, I still yet to have the Tommy and the Tornadoes 45. There’s not that many of them but I’ll find it eventually. Ronnie would tell me stories about trying to get paid by Morris. So it was interesting to see Tommy flesh it out in the book. Commenting on James’ visit to the Hall next month, Mr. Stewart says, “I’m excited about him being here next month. We’re spending an evening with him, talking about his book, doing a book signing, and then he’s playing a gala. As I always do after an interview with an icon from my past, I’m always impressed with their knowledge, viewpoints and wealth of insight and information into what has become the soundtrack of our lives. This is especially the case after my chat with Tommy James. What insight. What knowledge. What intellect.